The holiday season is now in full swing and we want to share some wonderful holiday inspiration with you all month long! So stick around and make sure to leave all of our talented designers and blog contributors a holiday greeting or two along your journey here this month! Now on with the show! Today we have Virginia Nebel with us and she is going to share a fun project with us that you may remember from your own childhood. Every December I start writing our family newsletter. And every year I open the same document template from last year, change the date and start typing away. Does that sound familiar? This year, I wanted to create something really fun and interactive. 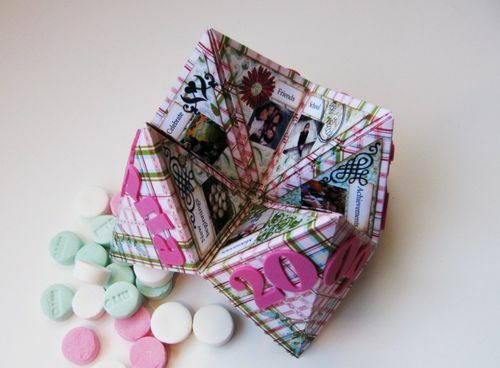 Remember those cootie catchers you use to make and how fun they were? 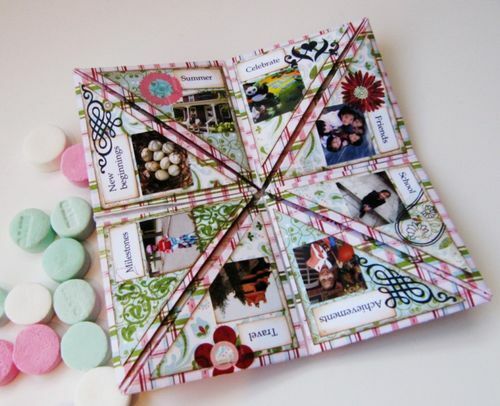 This project is a wonderful way to tell your story, you can fit a ton of photos (I was able to fit 24 photos in mine!) 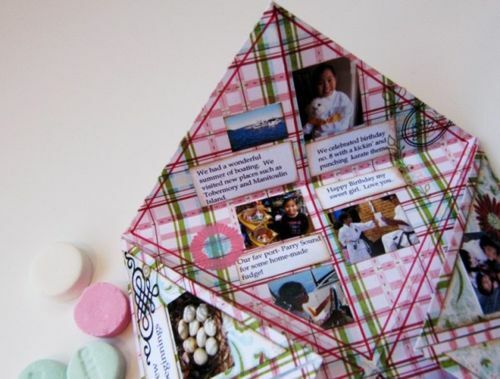 and journaling in this classic and timeless folding project. 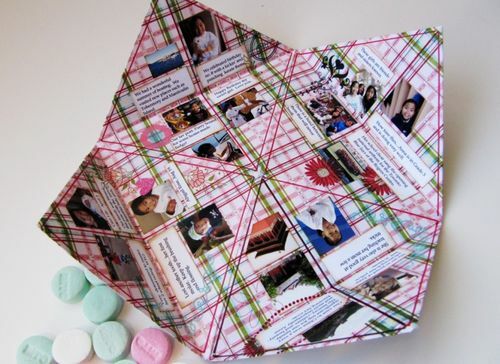 I suggest using 65 lb double sided pattern paper vs cardstock to reduce bulky folds. Keep your embellishments on the inside fairly flat- time to raid your rub-ons stash. Create one for every family member! 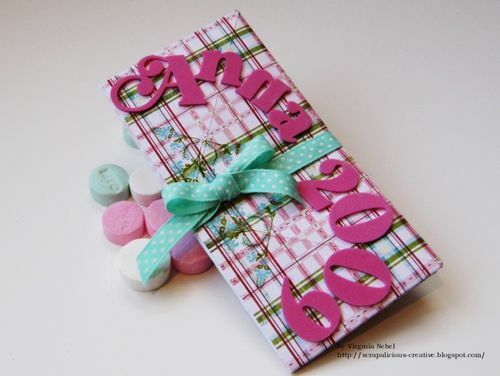 These would make adorable place cards for the Holidays too!. Want to see more of Virginia’s work? 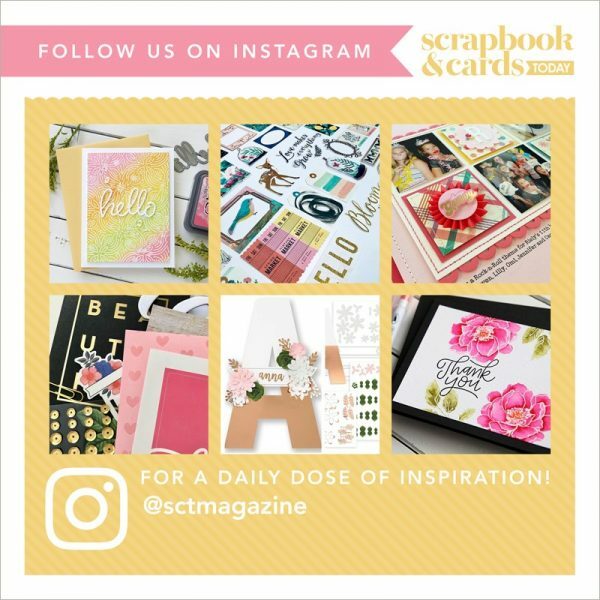 Visit her blog http://scrapalicious-creative.blogspot.com/ for lots more scrappy inspiration!